My wedding dress was a dream! George Elsissa custom made the most beautiful dress for my special day! So much detail that it just stunning especially in person! The dress has a beautiful sparkle and is so flattering! I wore it once on my wedding day so it is used but is in great condition. 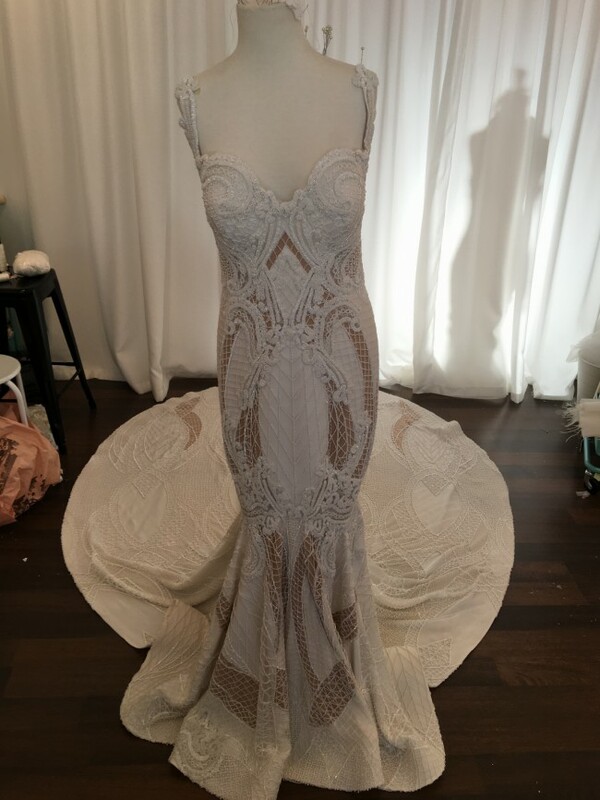 The dress is beaded from the top to bottom so there is a few tiny beads missing in some spots but there is so much detail that is it not noticeable AT ALL! The dress did come with a detachable side piece to give a ball gown look from the back that I did not use so that is brand new! I really hope someone can wear my dress and feel as amazing as I did in it! Good luck to all you beautiful brides! Please message me with any questions! Once you send a message, Chanel can invite you to purchase the dress.